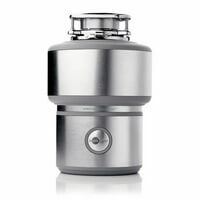 Disposals are one of conveniences of the modern kitchen. Silent, safe and efficient they make cooking and cleaning that much easier. Whether you’re considering investing in a new disposal or you need to have your current one repaired, the Plumbing Experts has you covered! At the Plumbing Experts, we know how frustrating it can be to have your garbage disposal stop working or clog up. Losing the use of your kitchen sink can be a big bummer and ruin your dinner plans! Don’t worry, we can repair or replace your disposal today! 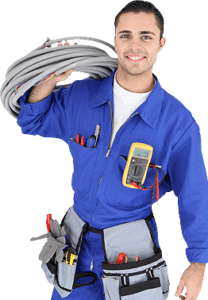 Below you’ll find the various disposals we can install for you today! Pick out the one that fits your needs and call or E-Schedule an appointment today! The incomparable Evolution Excel is as stylish as it is capable, taking the art and science of food waste disposal to a new level. 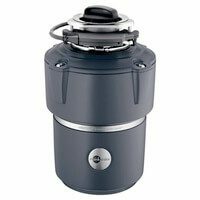 It handles more volume, more foods and more challenges than anything that preceded it while cutting noise levels by at least 60% over standard disposers. Its three-stage grind technology allows you to grind almost any food waste. The Evolution Cover Control delivers all the great features that set the Evolution Series apart, plus an extra margin of assurance. Activated by the magnetic CoverStart Switch, it runs only when the cover is on. 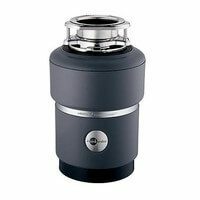 The space-saving Evolution Compact includes two grind stages and is 40% quieter than a standard disposer. Its perfect for small households or restricted cabinet space. The Badger 5 model provides offers a heavy-duty motor and space-saving compact design. 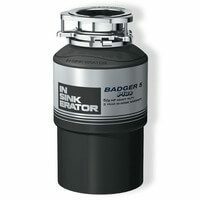 InSinkErator Badger 5 food waste disposers are a reliable and functional choice when affordability is the prime concern.